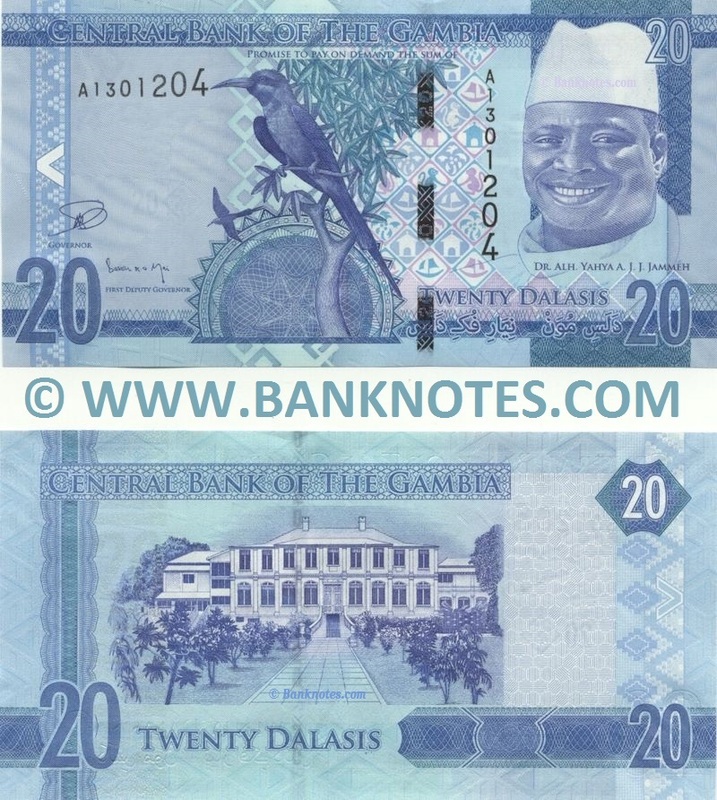 Gambia 20 Dalasis 2015 - Gambian Currency Bank Notes, West African Paper Money, Banknotes, Banknote, Bank-Notes, Coins & Currency. Currency Collector. Pictures of Money, Photos of Bank Notes, Currency Images, Currencies of the World. Texts: Central Bank of the Gambia promise to pay on demand the sum of Twenty Dalasis.